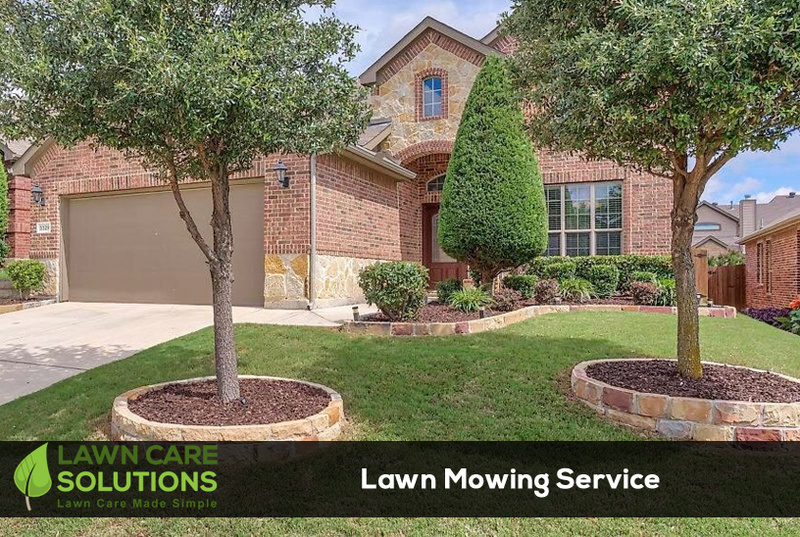 If you’re like most homeowners in the Austin, Buda, and Kyle, Texas area, you want a well maintained lawn. This is where we come in! Leave the lawn mowing to the professionals at Lawn Care Solutions. We recommend weekly lawn mowing service to most of our clients as it will keep the lawn looking the best throughout the year. Although we also offer bi-weekly mowing service for customers whose lawns may not grow that much and Lawn Mowing is not needed as frequently. Why Should You Hire Us For Lawn Mowing? State-of-the art equipment: We use the best equipment to keep your lawn we’ll cut and Maintained all year long. Trained professionals: we only work with trained employees who have years of experience in the industry. We are reliable: Our staff always respects the agreed schedules, we answer the phone or emails at all times, we show up when we say we do and if there is ever a delay, we let you know in due time. Licensed Professionals: Our company carries all the necessary licenses and certificates. Insurance: All our lawn maintenance activities, even the simplest ones, are backed up by insurance policies so everybody and everything is safe. Easy Payments: Our bills are easy to pay. We offer a very convenient and safe online credit card payment system. Lawn Care Solutions guarantees you will be absolutely thrilled with our lawn maintenance services. Every service comes with our 100% Satisfaction Guarantee. If you are not happy with our work we will send our team to fix the item in question FOR FREE! Nothing is more important to us than your complete and total satisfaction.